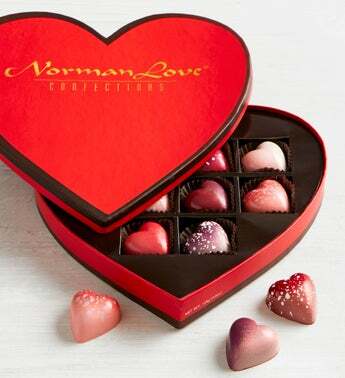 Treat your love to a box of Norman Love Confections' Valentine's Day chocolates! This limited-edition 2019 collection features "forgotten love" flavors - classics of the past like New York Cheesecake, Kahlua, Cinnamon Roll, and Passion in gorgeous heart shaped chocolates. It's a truly unique assortment that they will absolutely adore!